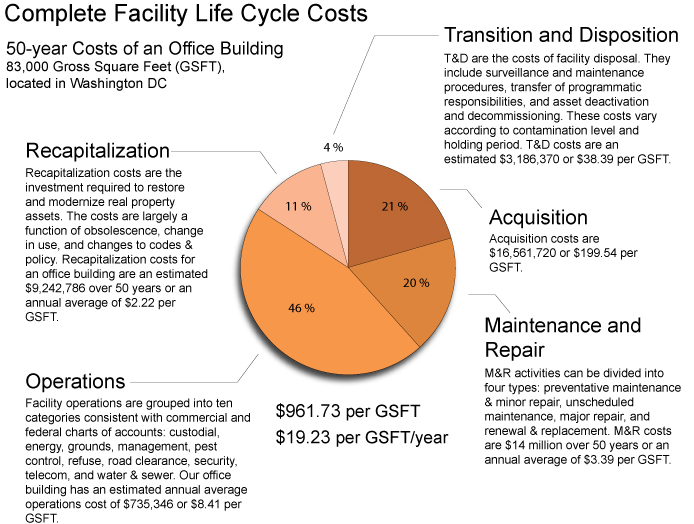 Facilities Management in the U.S. – R.I.P. If I see another article about how great facilities management professionals (FMers) are, or how misunderstood, I think my head will explode. Real property owners, aka FMers, simply aren’t doing their jobs. It they were, physical infrastructure (buildings, roads, bridges, utilities, ….) deferred maintenance wouldn’t be continuing to climb AND construction would not still be one of the least productive industries of all. Sure, they are good, if not great FMers, but in general, there is are major professional capability and competency issues. No one can be an expert in the above competencies, but being able to lead teams of internal and external teams IS a requirement for any FMer with a real property portfolio. Then, of course, you get the folks that say…”Oh, I can just outsource FM.” Again my head explodes. Are facilities and infrastructure core to your organization? And… you are going to outsource their management? Really? Good luck with that. Here’s a list of topics, areas, in which a real property owner should have a working level of competence. How do your rate yourself? If you aren’t concerned about FM and AEC service delivery models… you should be. Owner competency, owner/service provider relationships, and outsourcing trends are alarming at best. Owner believe that technology is key to improving the renovation, repair, maintenace, and delivery services and financial transparency. Well, I have news, if you don’t have sound business process and workflows, not to mention viable strategic and operational plans, technology will just automate you poor practices. ‘Big data’ and analytics, specifically being able to link data to decision making to improve productivity and service quality is seen as another “game changer”. Well, two things here. There IS such a thing as TOO MUCH INFORMATION. Unless, the information is maintained in standardized formats and in plain english that everyone understands…and its both timely and actionable. Big data and analytics are worthless. Again…process and planning MUST come before any attempt to leverage data and/or analytics. Owners are hoping for “culture change” – changing attitudes towards facilities, architecture, construction, and engineering. They assume changes in the AECOO working/workplace with result in changes in how people work and communicate – be it through technology or changes to the built environment. Well, again, newsflash…. Owner MUST DRIVE CHANGE… IT’S UP TO YOU! Increased competition for economic and environmental resources continues… reduced budgets and high expectation of service users are becoming the norm. Despite this obvious trend, real property owners are doing little to change their practices accordingly. Last but not least… and only last, as I am sure you don’t want to read more… it that the trend towards outsourcing continues. A high percentage of owners outsource more than 50% of their FM services. Well…. last time I checked, FM is not a commodity, and outsourced service delivery is less efficient than a properly managed owner provided service. The promises from outsourcing providers of financial savings, better technical expertise, buying efficiencies, and access to management best practices are rarely confirmed… or even measured… and even more rarely fulfilled. So, again… the rampant trend towards mediocrity, waste, and inefficiency is supported versus mitigated. Communication, working together as a team and better alignment of strategies and plans are the top areas of focus for most FMers. However, without proper tools, training, and competencies, most will never achieve measurable positive results. You don’t believe the situation is dire? Surveys show that a high percentage of (approximately 50%) Owners don’t feel there is much room for improvement regarding initial request for proposals and briefings, etc. REALLY? ARE YOU SERIOUS? How can that be? Have they actually read the RFI’s, RFP’s? Most (60%+) of contractor, engineers, etc. feel their is a LOT of room for improvement relative to Owner RFI’s, RFP’s etc. This DISCONNECT simply should not exist. It is another indicator of lack of owner due diligence. The same percentage hold for questions relative to KPIs, reporting, etc. 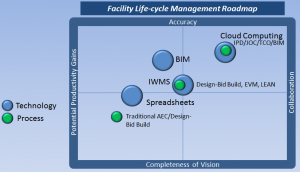 What will it take for the U.S. FM and AEC industry to truly adopt innovation and collaborative LEAN business practices?. Why BIM is in trouble. Read this post and please comment. It is part of discussion on linked-in. To me it is very telling of the educational and cultural issues that are preventing the widespread adoption of BIM. I still don’t understand what FM has to do with it. As architects we get enormous benefits from using BIM, from being able to do more complicated and therefore better designed buildings to doing more with less staff. Engineers can do the same. Contractors benefit from accurate documents and schedules, and more certainty over clash detection. All this can be done with NO consideration of FM. So “BIM can not be leveraged without the input and consideration of FM” is simply not true, and a great misunderstanding in the AEC industry. 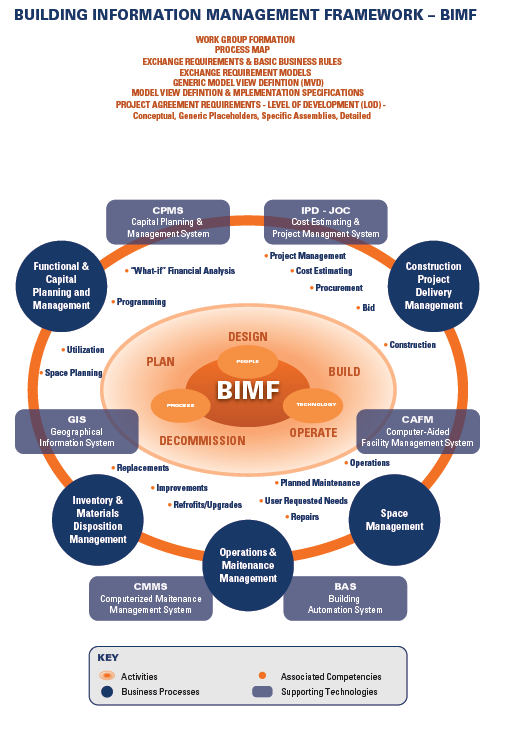 So, the author believes that BIM can be practiced without the input and consideration of FM? I think NOT. Certainly components of BIM can be practiced separately, with the ultimate goal of integration. That said, the above statement not only shows a lack of understanding of the meaning and major value of BIM, but also demonstrates a lack of appreciation for the role of FM professionals. It is my hope that organizations like IFMA, APPA, NIBS, buildingSMART, CEFPI, et al, rapidly address the pervasive lack of understanding relative to FM. 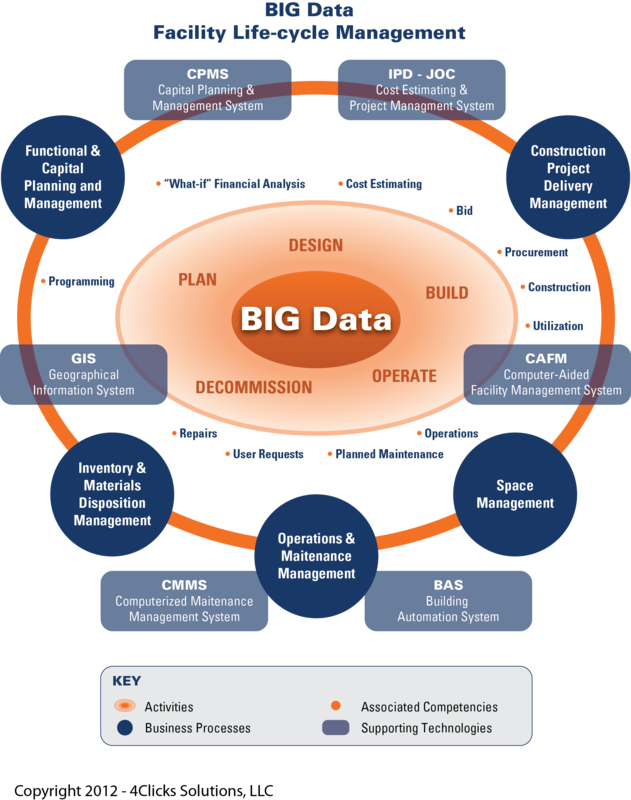 Failure to address this core issue stands to place BIM in silos…. exactly what we all don’t need.